UNT is grateful for donors like you! You are an important partner in creating opportunities on campus for our students' progress, building their foundation for future sucess. Your gift today empowers tomorrow's leaders. Your generosity makes a difference. For questions about making your gift, please email giving@unt.edu or call 940-369-8200. If you wish to search for another area to support, please use the Fund Search function on this page. Why did you choose to support UNT today? 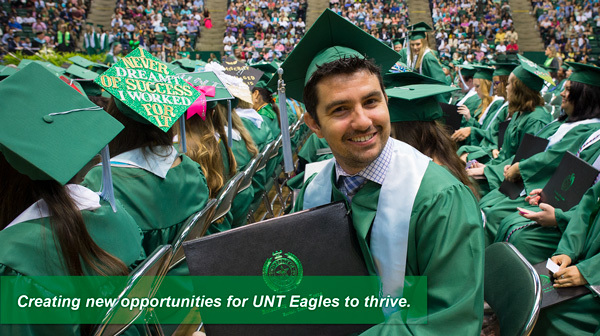 Use the Fund Search below to search currently available UNT giving opportunities. Click on a fund name to add it to the Area of Support in the form.